FinovateSpring is returning to San Francisco, the city that serves as America’s innovation capital and the West Coast’s biggest financial hub. FinTech Futures will be there to cover the hottest subject areas, key trends and issues affecting the sector with our special supplement. 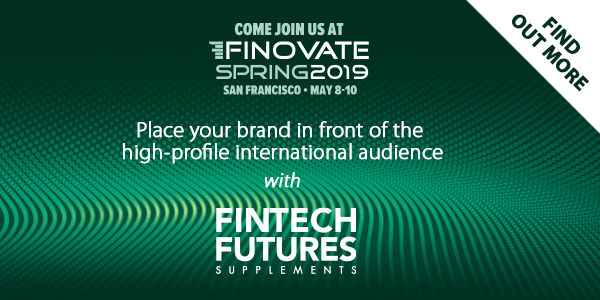 Whether you are attending or exhibiting at FinovateSpring, or simply wish to address the industry’s biggest topics and access the exclusive audience, then our supplement should be an integral part of your marketing strategy. This is a great way to showcase thought leadership, breaking news, product announcements, case studies and feature articles. The print copies will act as an onsite guide and will be distributed at the event. A digital version will be published online, benefiting from an extensive campaign to a global audience of fintech professionals. This is your chance to deliver a strong message to FinovateSpring community! For more information, please request our media pack by providing the details below or get in touch with David via email david.wurie@knect365.com or call +44 207 017 6122. Booking deadline is 14 April!